The mighty morphin’ teens are out to take home. Are the extras really cool? Would you collect or gift? 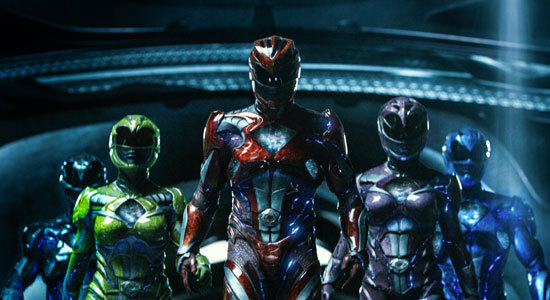 Check our Blu-ray review for Saban’s Power Rangers! 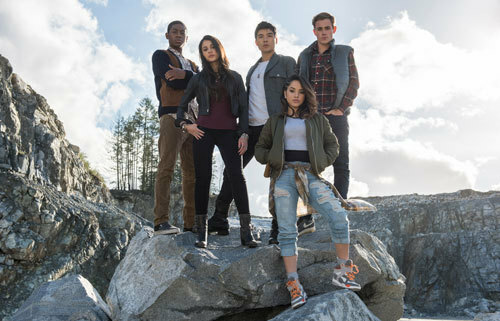 Saban’s Power Rangers features misfit, multi-cultural teens who would usually hate each other. It’s a stretch to get along when they discover that they’ve been chosen as the next generation of an ancient warrior race. They are superheroes destined to protect their school, town and world from bizarre baddies. Sounds crazy but they do get really cool suits! Way back in the Cenozoic Era on Earth ancient Power Rangers die battling Rita Repulsa (Elizabeth Banks) and her demon entity Goldar who are searching for the Zeo power crystal that can help her destroy worlds. Red Ranger Zordon (“Breaking Bad"’s Bryan Cranston), as he seemingly dies, buries the power “coins” that represent each color of Power Ranger, hoping that future generations of Rangers will find them. 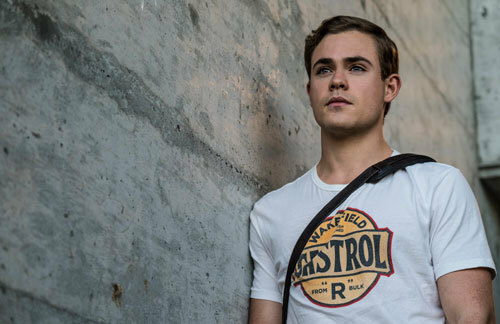 Right now, in small-town Angel Falls, star quarterback Jason Scott (Dacre Montgomery) and pals try to put a bull in a rival team’s locker room. The stunt goes wrong and, making a getaway, there is a car crash. Jason’s ticked-off dad says his antics have blown his future professional football career. He is sent to detention where he meets other “misfits”; Billy (RJ Cyler) who is OCD, bullied and has trouble “getting” jokes, Kimberly, (Naomi Scott), who used to be the prom queen type but has fallen from grace, and Trini (Becky G.) who is the perpetual new kid in town because her family moves a lot. The new uneasy pals plus Zack (Ludi Lin), a charming, flippant and cute Asian dude, end up at an old abandoned gold mine where Billy and his now deceased dad used to forage for strange stuff. Billy blows up part of a cliff and the misfits discover five glowing stones or coins of different colors. Each kid takes one and they have to escape security guards in Billy’s van. They try to race a train across the tracks…and don’t make it! They are hit and roll in a horrible crash. A local fishing boat picks up a very strange catch, a woman-like being seemingly dead but…is she? Mysteriously back at home after the crash, Jason dreams about it. Gets up and accidentally breaks the porcelain sink in his bathroom. At school, Billy discovers that he is uber-strong as he bests his bully. All of the kids feel abnormally strong and don’t remember how they got out of the car and home. To figure out the mystery, they go back to the mine where they discover they can jump canyons in a single bound and more. They fall through water into a strange cave where they find an alien ship! 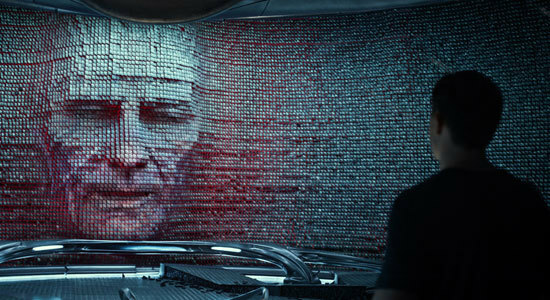 The teen’s colored coins start vibrating and they are confronted by small robot Alpha 5 (voice of Bill Hader) who calls on Zordon (Bryan Cranston), now only a spirit trapped in the cave walls, who tells the teens that the coins they hold “picked them” as the next generation of Power Rangers destined to protect life on Earth. Jason, deemed to be the group’s leader, sees a horrible vision of Earth’s future if villain Rita Repulsa succeeds in a plan to gain the power crystal to help her wreck the planet. Rita was originally a Ranger as well but her lust for power turned her evil. Eventually, the gang steps onto the “morphing grid” hoping to get their armor to be true Power Rangers but it doesn’t work. They train without armor instead and it is brutal. Meanwhile, Rita, who was the ancient female “corpse” brought up from the sea, has reanimated and is killing people to gather up any gold they possess. When she gets enough she will create Goldar, a huge destroyer creature who will help her find the Zeo crystal (which Billy has determined is buried under the town’s only Krispy Crème donut shop (don’t ask). Much soul searching and more training later, after a failed attempt to stop Rita without any Ranger armor, the group really gets to know one another and bonds as friends. They want to try morphing into Rangers again before Rita’s rampage kills more townspeople and she builds her giant gold monster. Are they up to the task? Will they ever morph into true Rangers in time? 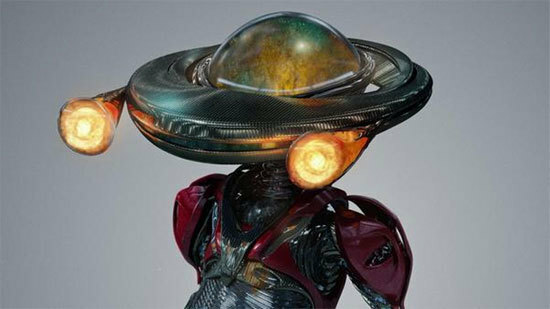 The nine-part, Making-Of featurette here is called The Power of the Present and it presents all the actors and filmmakers covering their connections to old Power Rangers TV and film (with some of the old TV clips.. Spandex heaven). All stress how fun, campy and multi-ethnic the old shows were. 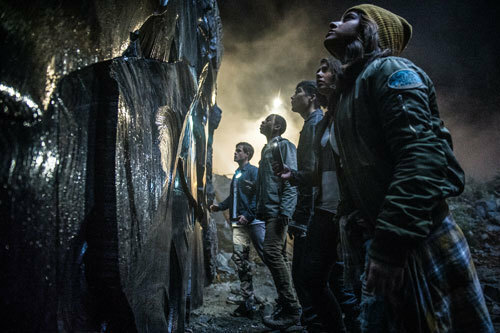 Other subjects covered in detail are the story, casting the team, actors and characters other than Rangers, make-up, costumes, details on production design, the many special visual effects and the morphing effect, stunts, fight training, location and set shooting and both sound and music. This is a very thorough extra and the actors are involved all the way. Deleted, Alternate and Extended Scenes are many and some do help develop the teen Ranger characters. You see a few more short scenes that included some members of the original U.S. TV cast. Fun for fans. More with Jason and Kimberly and Jason and his demanding dad are there as well. Outtakes (Bloopers) are really not so much funny as silly and some are extra deleted scenes that included robot Alpha in them. Audio Commentary by Director and Writer – Not full of humor but you get decent info about the story, production and filmmaker choices. Saban’s Power Rangers looks and sounds really crisp, colorful and clean on this Blu-ray/DVD set. The movie is packed with tributes to the original series and movies but with updated effects, costumes, etc. The newbie-ish actor team hired to play the Rangers take their parts seriously and you do get some heart and misfit bonding that you might relate to. 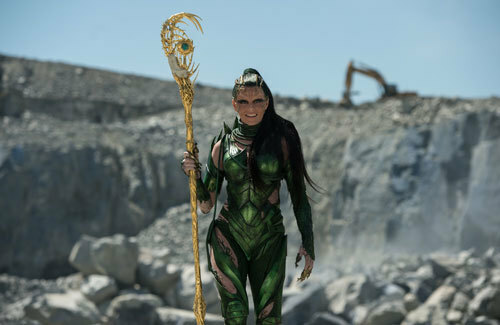 Elizabeth Banks as villain Rita Repulsa looks cool and is far less campy than on TV but she still gets to chew the scenery a bit too much at times. Extras are very standard but you really get to know the actors and see some on and off-set tidbits. Maybe most interesting is a section focusing on the costumes, make-up and production design for the new “look” of the film. The Zord designs are featured and look cool. If you or your family elders are or were fans of any of the old TV and films, you will probably enjoy the movie more than newbies to the Rangers but all the “get to know you” extras on this set are so thorough that we can go four stars on this home entertainment offering. 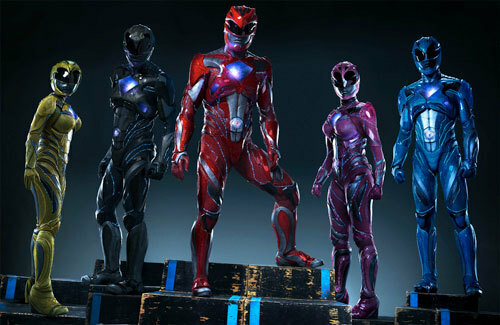 You can get Saban’s Power Rangers this Tuesday, June 27th! Are you into Power Rangers? Was your dad or mom? Do you just like films that empower tweens and teens? Comment below.